Botulinum toxin, commonly known as Botox, after the name of one of the commercial preparations, is an injection that is used in small doses to cause temporary paralysis of selected muscles of the face to reduce wrinkling and thereby give a more youthful look. It is commonly used to reduce frown lines, crow’s feet and smooth the brow. Botulinum toxin may not always be the best procedure for you as sometimes surgical options such as a blepharoplasty can achieve much more desirable effects. In addition Botulinum toxin is also very effective for reducing excessive sweating under the arms and sweaty hands. It usually gives more reliable results than traditional surgical methods for reducing sweating and obviously without the need for an operation. 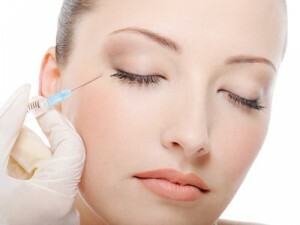 There are several preparations of botulinum toxin one being Botox and occasionally an alternative one such as Dysport may be recommended.